A tied bandana around your neck is the accessory of the year! Bright colors of red, blue or yellow are easy to find, but I wanted more muted colors of pinks, yellows, greens and oranges…tropical colors. So we made some! 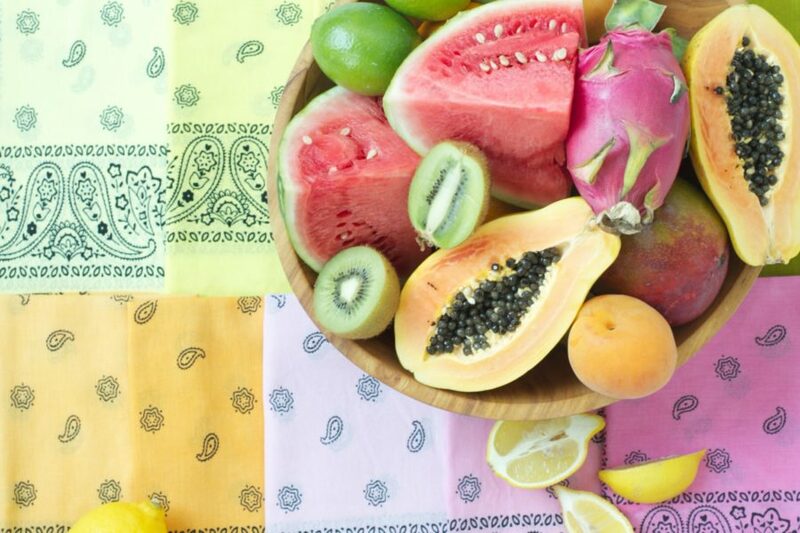 Follow this simple step by step guide to make your own custom colored bandanas. Fill a large stock pot with enough water to cover your bandanas. Place the pot onto medium heat and add your dye packet. Stir until fully dissolved. 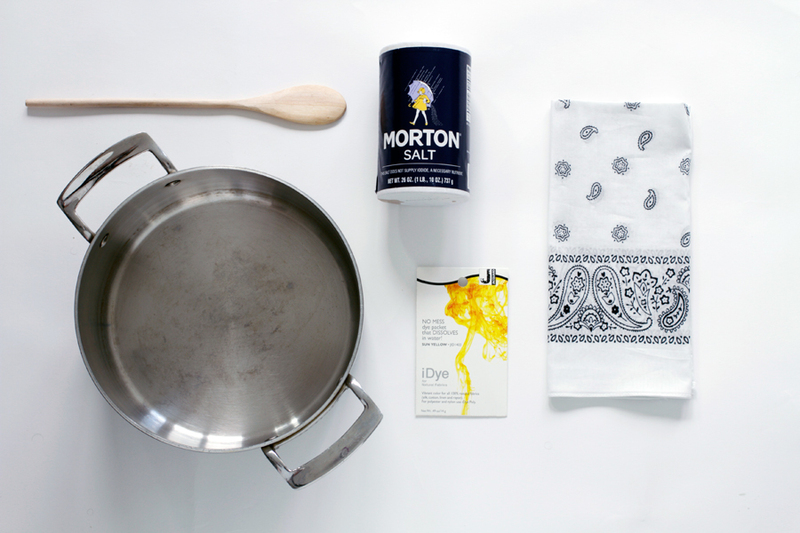 Wet your bandanas, stir into the pot and raise the temperature to just below boiling. Add 1 cup of non-iodized salt and stir frequently for 30 minutes. Remove the bandanas and rinse under cold water. Toss into the washer with mild detergent with cold water. Let dry. To achieve a lighter color/ombre of color, empty 3 quarters of your mix and 1 bandana after step 01, and dilute it with new water, bring to boil. Repeat process as listed above for each color change (we got three different hues of the same color from each packet/see the pink bandanas in the image below for reference). We used different colored dyes. You can water down the dies to make a lighter hue of each color.